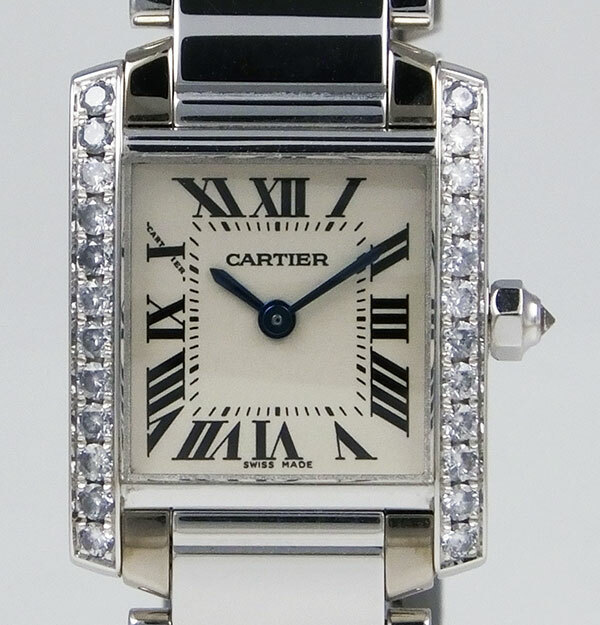 Very elegant ladies Cartier Tank Francaise finished in 18K white gold (both case & bracelet) with white Roman Numeral dial with original/factory diamond-set bezel with 24 brilliant cut diamonds. Watch is 100% unused/unworn and is complete with box, manuals, warranty certificate, etc. 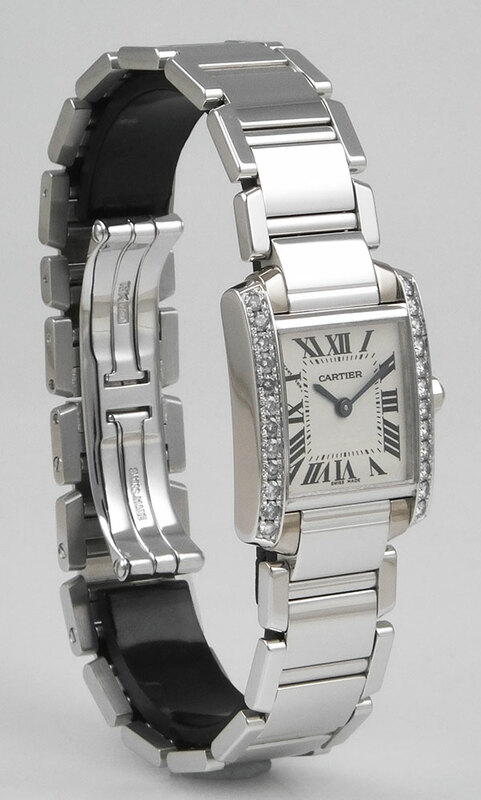 Unavailable now in 18K but RRP originally was circa £30k. 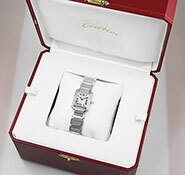 Solid 18K white gold case is in perfect condition with no handling marks of any kind. 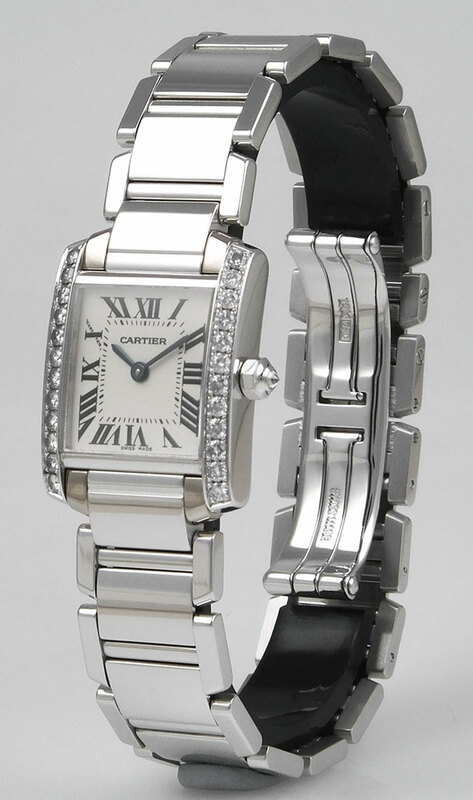 Bezel is set with 12 brilliant cut diamonds on each side and winding crown also has a diamond end-stone as opposed to the Cabochon found on the steel or steel & gold models. We purchased the watch from original owner and it has always been kept in its box since purchase. 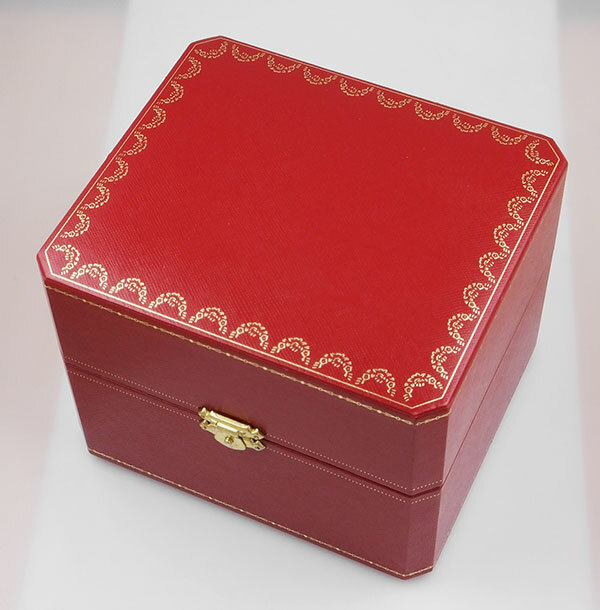 Model reference number: 2403, serial number: 99679xxx. .
Case dimensions are 20mm in diameter (not including crown - 23.5mm including), 6mm thick and 26mm lug to lug. 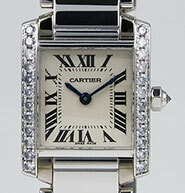 Beautiful white Roman numeral dial with blued steel hands. No marks, no discolouration - perfect condition. 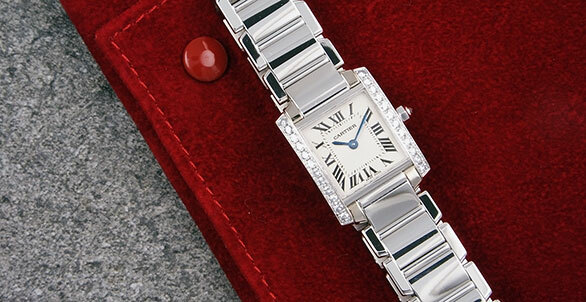 Dial is signed simply "Cartier" with "Swiss Made" at 6 o'clock. Crystal is perfect with no marks or scratches of any kind. 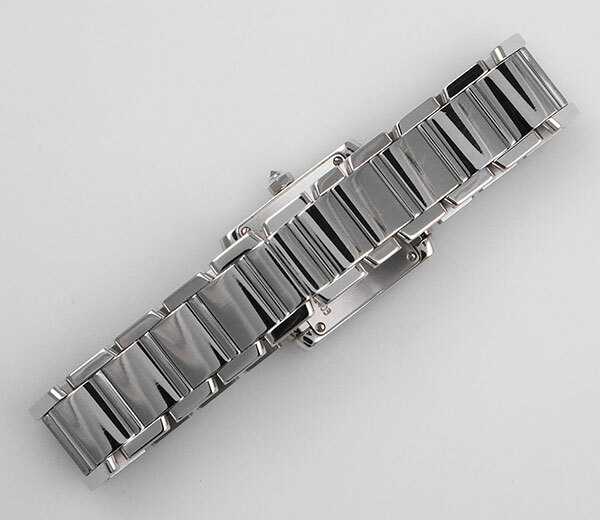 18K white gold bracelet also in perfect condition with ZERO play/stretch in the links. No marks or scratches, dents, dings or other imperfections - it really is Brand New/New Old Stock. Bracelet will currently fit approx. 7" wrist or can be adjusted. Comes complete with all links - full 'retail-length' bracelet with no links removed. We have just replaced the battery and so comes with full 12 months warranty for your complete peace of mind. Would make a superb present for a special lady. 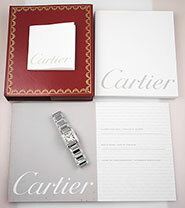 Comes complete with both boxes, manual, Cartier catalogue & original warranty certificate. The watch is 100% genuine and rest assured, we give a lifetime guarantee on the authenticity of all the watches we sell.